Caddell Made Designs welcomes you. Welcome to my rather simple, but hopefully enlightening, portfolio website. With a career that started by making the Lawrence Welk website in 1999, you can imagine the large collection of work that has piled up. Click below to learn more about my process and see a collection of items from the last several years. Thanks for stopping by! I love crafting delightful user-centered designs. This is how I do it. My process of design can be broken down into three primary categories: Discover, Create, and Validate. Within each category are any great number of activities that help shape the scope and deliverable of the design, whether a simple UI fix or a full blown experience vision. Although presented here as a list, it is worth noting that the best projects are wandering in and out of these constantly. In many cases you can be doing several, or all of them at once. The key to delightful, high quality design, is making sure that any work is considerate of all three categories. Often this is where a project begins its life. Activities in this category usually involve sketchbooks, pencils, white boards and/or creative minds in a room. In Discover, the ideas flow out unfiltered, and are worked out through low fidelity means. Click here to see examples of some of my discovery activities. To non-industry folks, here is where the face of your designs become real and actionable. Although a great deal of work usually goes into getting to this point, ultimately the final design deliverables are what the world is waiting for. In addition to visual designs, the create space also often includes prototypes and specs to help communicate to the development team. Click here to see examples of some of my creation work. 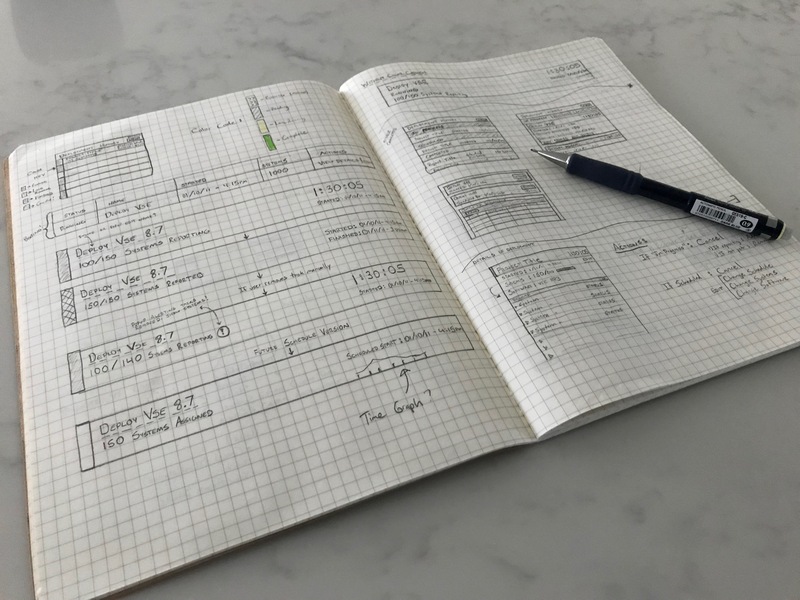 How do you know your design is intuitive, delightful, and meeting user needs? The only true way to know is through the users themselves, and this is where Validate comes in. It can be as simple as some pieces of paper simulating a UI, to a full blown behind the glass usability test. The real key is getting the voice of the user, and making sure they are the ultimate winners of all your efforts. Click here to see examples of some of my validation activities. Over the years, I’ve gotten to engage in the activities shown in the above sections with various different organizations. To save you a trip to LinkedIn, here is a list of some of the places I’ve called a professional home. ©2018 Chris Caddell. Thanks for stopping by.